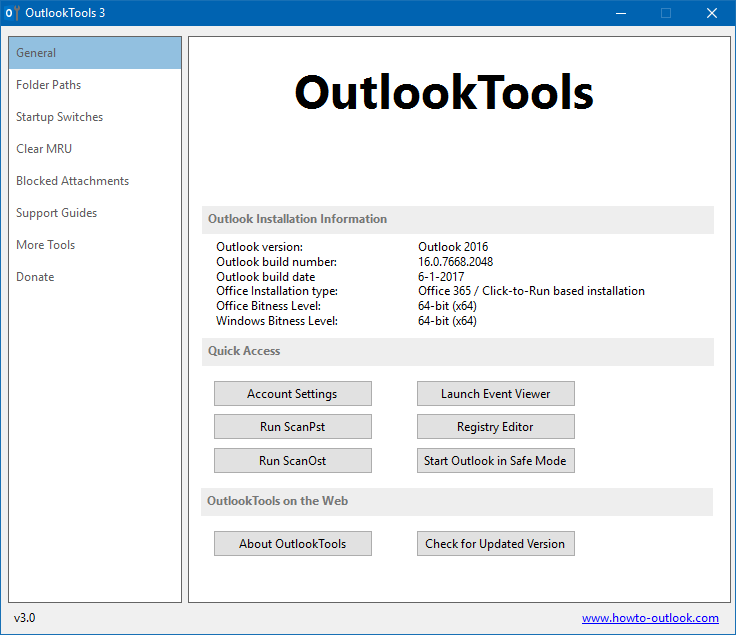 OutlookTools is a support and advanced settings tool for Microsoft Office Outlook. It gives you easy access to Outlook settings and data folders and allows you to change settings that are normally only possible through the registry. 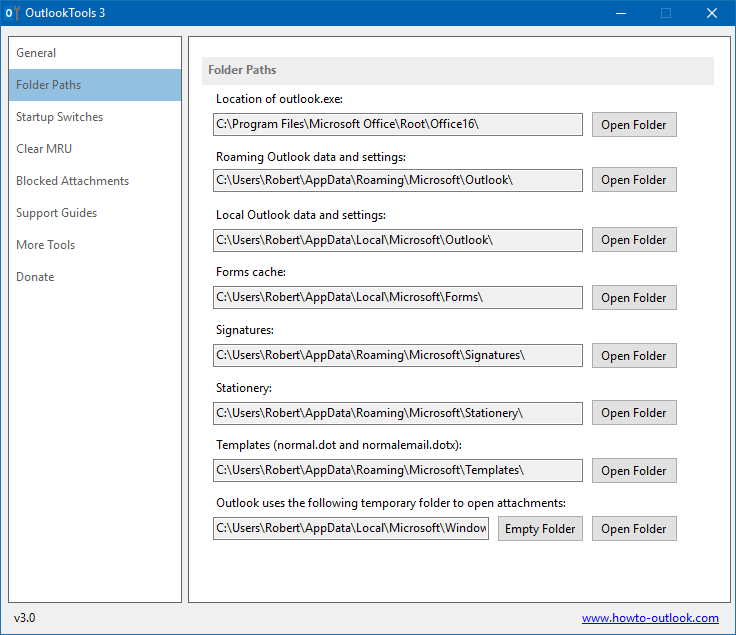 The Folder Paths tab provides you easy access to various important folders which Outlook uses. Unblock attachment types that are blocked by default.